Learn plumbing tips and processes as well as how we use state-of-the-art equipment to provide you with top Colorado Springs plumbing services. Get helpful tips and advice for troubleshooting common plumbing problems at home and steps to take before you call your plumber. Our plumbing blog also provides seasonal checklists that help you safeguard your plumbing from possible damage or expensive repairs. Learn about our plumbing processes and how we use state-of-the-art equipment to provide you with top Colorado Springs plumbing services. Are Commercial Drain Cleaners Clogging your Pipes? Store-bought chemicals and cleaners are bad for air quality, but could they also damage the plumbing in your home? Although commercial drain cleaners are marketed as safe and effective ways to unclog pipes, they are often one of the root causes of chronic drainage issues. Particularly in older homes (like those found on the west side of Colorado Springs), solutions like DrainO! can escalate plumbing issues rather than fix them. When in doubt about how much DrainO! is too much, call a Colorado Springs drain cleaning plumber for a safe answer. Thankfully, it’s possible to unclog a sluggish drain without resorting to harmful chemicals. Garbage disposals are essential for keeping sinks clog-free, but they can also be the source of foul odors when they’re not cleaned properly. The thought of rotting scents coming from a sink may make you cringe, but this problem crops up in hundreds of homes throughout Colorado Springs every year. Take a look at what a Colorado Springs professional plumber says are the most common causes of garbage disposal odors. Could you be spending less on utilities each month? 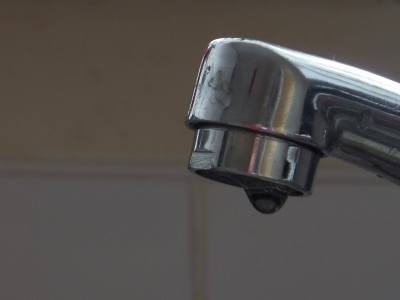 We’ve all been shocked by the dollar amount on a monthly water bill at one point or another. To prevent wasted resources and high utility bills, many people make using less water a high priority. Thankfully, for many homes throughout the Front Range, a few strategic household upgrades can lower the cost of monthly utilities without changing your water usage. See what a professional Colorado Springs plumbing company recommends as the best upgrades for your home. Does Colorado Springs Have Hard Water? Can Water Damage your Plumbing? 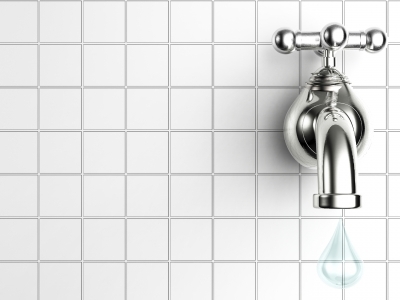 Few people realize that the water rushing from their tap could also be ruining their plumbing system. “Hard water,” a naturally occurring type of mineral water, is found throughout the wells, springs, and rivers of the Front Range. 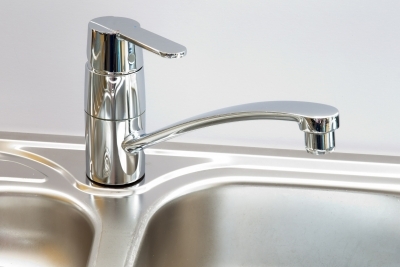 Because the mineral composition of hard water can be detrimental to plumbing pipes and fixtures, it’s important to guard the longevity of your home’s plumbing with preventative techniques. Keep reading to learn more about hard water in Colorado Springs, and what you can do to protect your pipes. Commercial plumbing systems experience heavy use. As a result, it’s not uncommon for pipes, fittings, and fixtures throughout the property to become worn out and damaged over time. All too often, our Colorado Springs commercial plumbing contractors respond to serious problems that could have been stopped with regular maintenance. By adhering to a strict maintenance schedule, you can prevent plumbing issues from growing into costly, system-wide breakdowns. Today, we’ll explore four tips every commercial property owner should use to keep their plumbing system working year-round. The kitchen is the heart of the home – until your sink stops draining unexpectedly. Clogged kitchen sinks make it difficult to complete essential day-to-day activities like meal prep and cleaning. 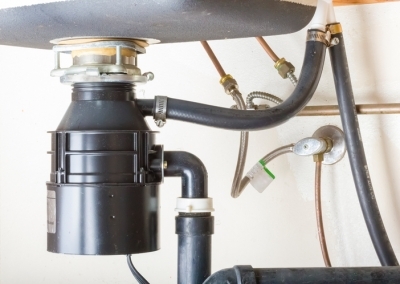 Practicing preventative maintenance before draining issues arise is the best way to keep kitchen plumbing working properly and avoid unforeseen repair expenses. 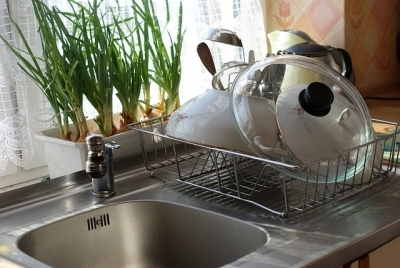 Kitchen clogs are one of the most common Colorado Springs plumbing services we’re asked about, so we’ve compiled a list of items that commonly cause them to malfunction. 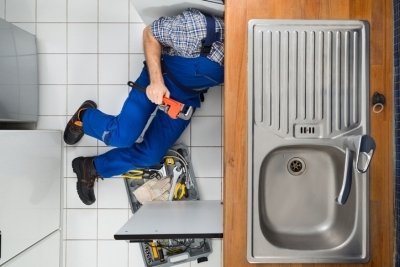 Preventative plumbing maintenance saves property managers thousands. As a property manager, it’s your responsibility to ensure the plumbing system in your building operates safely and effectively year-round. Not only could plumbing issues impact the quality of life of your tenants, it can also cause serious structural damage to the other areas of your property. As a Colorado Springs plumbing contractor, we respond to hundreds of commercial plumbing issues and emergencies in the Front Range each year. To help property managers like you side-step costly repairs and take better care of their investments, review these common commercial plumbing issues and what you can do to avoid them. 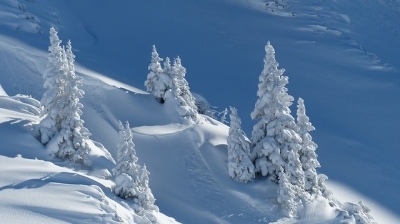 Once the snow and ice arrives, household plumbing systems will be under enormous pressure to operate well regardless of the low temperatures. Winter brings dozens of challenges, but one of the most common plumbing problems is frozen pipes. Every year, Colorado Springs residents struggle with frozen drains, showers, and sinks – thankfully, freezing pipes are something that can be prevented with the right preparation. We’ve all made the mistake of clogging a drain. 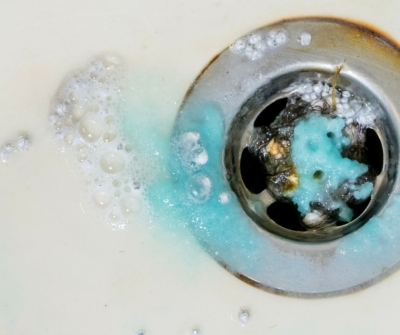 Whether you sent too much food into the garbage disposal at once or tried to flush cotton balls down the toilet, everybody has accidentally clogged a drain in their home at one point or another. Since drain clogs are one of the most common plumbing problems, we’ve compiled a list of 14 things you should never put down the drain – ever! Buying a home in Colorado Springs is an exciting experience, and many of today’s home buyers and coming from out of state. Few families who’ve relocated to Colorado Springs know that a large percentage of the homes in town (especially on the west-end) are quite old. The age old saying, “never judge a book by its cover,” holds true when shopping for houses, too. Whatever end of town you plan to buy a home, requesting a full inspection on the property’s structure, electrical, and plumbing system is always a good idea. Get a free estimate from an experience Colorado Springs plumbing contractor. Fill out our online form for a fast response or call 719-232-4720 to speak with a plumbing expert. Absolutely the best. If you want something done right the first time hire these guys. You won't be disappointed. Very quick, professional and affordable! Highly recommend Aaron. We will use him again for future needs! Great work and fast thank you for all of your help Jason. Get a plumbing quote. It's free and easy! Being the best Colorado Springs plumbing contractor is our company vision. The core value of our plumber employees and support contractors is customer service. We make ourselves available 24/7 to ensure our customers are comfortable and safe in their homes. ©2019 Pikes Peak Mechanical. All Rights Reserved.